Have You Suffered Injuries or Lost a Loved One Due to a Defective Dexcom G5 Mobile CGM System? According to an opinion article published in the Journal of the American Medical Association (JAMA) in 2017, Dexcom’s G5 Mobile CGM System receivers may not accurately monitor blood glucose levels resulting in hospitalization, coma, death, seizures, emergency recitations, and loss of consciousness resulting in head injuries or fatal car accidents. The article goes on to state that Dexcom G5 device’s new upgrades have improved the device’s accuracy, however new reports indicate that the devices may still be providing irregularities in its readings. These irregularities can be substantially inaccurate putting wearers at an immediate and grave risk of injury or death. Parker Waichman LLP is investigating claims that Dexcom’s G5 Mobile Continuous Glucose Monitor Systems does not accurately measure blood glucose levels, which can lead to significant and serious injuries or death. If you or a family member owns a Dexcom G5 Mobile Continuous Glucose Monitor and the device failed to accurately measure blood glucose levels leading to an injury or the death of your loved one, call Parker Waichman LLP for your free case review at 1-800-YOURLAWYER (1-800-968-7529). Parker Waichman LLP is a national plaintiff’s personal injury law firm. Regardless which state you currently reside, an attorney at Parker Waichman LLP may be able to represent you. Call us at 1-800-YOURLAWYER (1-800-968-7529) to see if your case qualifies for monetary compensation. This consultation is free and without obligation. Call today to discuss your legal rights and the process necessary to protect those legal rights. A Continuous Glucose Monitor (CGM) is a wearable, under the skin blood glucose-monitoring device used to monitor blood glucose levels automatically and continuously throughout the day and night. CGMs may be used by both adult and pediatric patients who are either type 1 or type 2 diabetics. The Continuous Glucose Monitor consists of two parts – a sensor and a receiver. The sensor is applied to the skin similar to that of an adhesive bandage or BAND-AID®. The sensor monitors the wearer’s blood glucose levels 24 hours a day. The blood glucose readings from the sensor are sent to either a device-specific receiver or the wearer’s cell phone that also utilizes a device-specific phone application. Should the wearer’s blood sugar level rise or fall below safe blood sugar limits, the receiver’s alarm is supposed to ring to alert the wearer of the status of their blood sugar. The current reports of inaccurate blood glucose monitoring with Dexcom’s G5 Mobile Continuous Glucose Monitor are not the first sign of trouble for this medical device. The FDA issued a recall regarding the Dexcom G5 Mobile Continuous Glucose Monitor, as well as the G4 Platinum CGM in 2016. On April 11, 2016, the FDA identified Dexcom’s G4 Platinum and G5 Mobile glucose-monitoring systems as harmful to the public. The FDA stated that individuals who rely on these glucose-monitoring devices are at risk of injury or death. This FDA Class I recall affected a substantial number of devices used by diabetes patients throughout the United States. The FDA estimated at that time that 263,520 devices would be recalled due to the defective auditory alarm. The recall notice may be found here – FDA Announces Dexcom’s Continuous Glucose Monitoring System Class I Recall. The recall included all lot and model numbers manufactured between July 29, 2011, and March 10, 2016. The distribution dates for these recalled devices are from October 22, 2012, to March 10, 2016. The FDA warned that depending on these CGMs could result in injury or death because the auditory alarm may not sound when the wearer’s blood glucose was either too low (hypoglycemia) or high (hyperglycemia). The units as mentioned above were considered defective and should not be relied upon. It was noted, at that time, that there had been very high adverse event reporting rates concerning these devices, and those reports have continued to date. In December of 2016, the U.S. Food and Drug Administration (FDA) approved Dexcom’s new labeling for use with their G5 Mobile Continuous Glucose Monitor (CGM) packaging. The new labeling instructed users of the Dexcom’s G5 CGM Systems that they no longer needed to confirm the device’s glucose readings by conducting a fingerstick glucose test or to perform laboratory glucose testing. In addition to the new recommendation regarding additional blood glucose follow up testing, the FDA’s approval of the device’s labeling enabled a reclassification of the device as “durable medical equipment.” This reclassification as a “durable medical equipment” qualifies the G5 device for reimbursement by the Centers for Medicare & Medicaid Services (CMS). In the previously FDA approved CGM packaging, the G5’s User Guide warned device wearers to double-check the device’s readings by way of a separate blood glucose test such as a fingerstick test or laboratory test to confirm their blood glucose level. The previous labeling and directions for the device also acknowledged the possibility of the device providing “inaccurate estimates of blood glucose values.” The most recent packaging, however, directs wearers of the G5 CGM device to rely solely on the CGM’s readings to administer insulin and that a second verification of the wearer’s blood glucose levels in unnecessary. 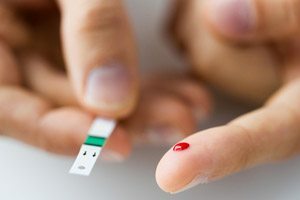 Parker Waichman LLP believes that Dexcom should be held responsible injuries and deaths caused by their device’s unreliable blood glucose readings, Dexcom’s failure to warn users of the device’s potentially unreliable readings, and the omission of a previously recommended alternative test confirmation. If you or a family member owns a Dexcom G5 Mobile Continuous Glucose Monitor and the device failed to accurately measure blood glucose levels leading to an injury or the death of your loved one, call Parker Waichman LLP for your free case review at 1-800-YOURLAWYER (1-800-968-7529). WHY SHOULD YOU CHOOSE PARKER WAICHMAN LLP FOR YOUR CASE? As highly experienced defective medical device litigators, the lawyers from Parker Waichman LLP, have the knowledge and resources you need to fight for the compensation that you truly deserve. If your case qualifies, our legal professionals will investigate your Dexcom claim to determine your eligibility to file a lawsuit against the manufacturer (Dexcom) and hold them liable for your injury or the loss of your loved one. Parker Waichman LLP can and will efficiently prepare your case and provide you with competent legal counsel. At Parker Waichman LLP, we have obtained over $2 billion in settlements, verdicts, and awards for our clientele. Parker Waichman LLP has established a national reputation inside and outside the legal community for integrity and service. HOW CAN PARKER WAICHMAN LLP HELP ME? When you select Parker Waichman LLP, our attorneys will advise you of all of the economic and non-economic damages you can legally pursue. We will work steadfastly to make sure that you recover the complete compensation that you legally deserve. Product liability cases are very complicated cases. When litigating against giant medical device companies, we face off against fierce corporate counsel with enormous litigation defense budgets. Parker Waichman LLP has significant and unique experience in handling representing injury victims in these types of cases. We know what it takes to win. At Parker Waichman LLP, we understand that when you entrust your case to our firm, you are placing significant faith in our law firm. We take this responsibility very seriously. We will work tirelessly to obtain maximum results for you. Together, we will hold the medical device manufacturers accountable for the injuries you have sustained or the loss of your loved one. Together, we will help prevent these same injuries from occurring to others. At Parker Waichman LLP, we prosecute some of the most complex cases throughout the Nation. We aggressively advocate for our clients. We passionately dedicate our practice to protecting your rights. If you or a family member was injured or killed as a result of a Dexcom CGM failure, contact Parker Waichman LLP today for your free, no-obligation case analysis by calling 1-800-YOUR-LAWYER (1-800-968-7529). To better assist the public, Parker Waichman understands that may people may misspell Dexcom as Dexicom, or Dexacom, or Dexecom.